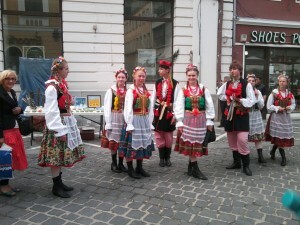 The land of Dracula, football craze and the Roma nomads… more than this, foreigners don’t know much about Romania. Located at the confluence point where Central, Eastern and Southern Europe meet, this European country offers a handful of breathtaking places to the travellers who are keen not only to see wonderful places, but also to feel the atmosphere and explore new cultures. Before I came to Romania, the country was a mystery to me as well. This is despite the fact that I am from Slovakia, which is in the extended neighbourhood of Romania; separated by just one country, Hungary. Therefore, when I got a chance to come to Romania for an exchange programme, to take part in a very helpful educational project aimed to make the teenagers in Romania grow personally, I was really excited. I didn’t know what Romania had in store for me. But soon after reaching the country, I was thrilled to see the modern cities which still retain the heritage of the country’s rich heritage, the picturesque countrysides, and last but not the least, very nice people. I like listening to, and in the process learning, new languages. This is one reason I love to travel. The other reason is to experience the distinct culture of a new country. In these two respects, I find Romania quite remarkable. Although it is surrounded by countries that all use Slavic languages, Romania has retained its uniqueness as the only Latin country on the Balkan Peninsula. Most people of Romania (about 90 per cent) speak Romanian. It is a charming language, which has shades of other European languages such as French, German, and Russian — presumably due to their historical influence on the development of the country. And it is not only in the language where you can feel the true blue European heritage, but also in the Romanian history, which is shaped by the integration with other European countries and cultures. Most Europeans tend to have a negative image about Romania as being poor, backward or even dangerous. Nothing can be farther from truth. Such stereotypical images are rather outdated and unwarranted. Yes, Romania has its share of problems like any other country in the world. For example, it is quite common to find gypsy kids begging for money. Then there are stray dogs wandering on the streets. But as one of the newest members of the European Union – the country joined the EU in 2007, along with Bulgaria — Romania is quickly catching up and notably getting developed. It offers a nice mixture of a western-like modernity with a historical touch. The rural parts of the country are still quite poor, but the countrysides have a beauty of their own. So, no visit to Romania is complete without a trip to the rural parts. 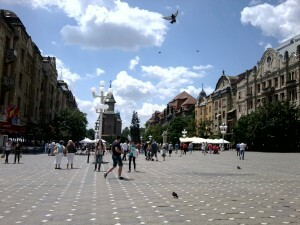 Timisoara is where I lived in during my stay in Romania. 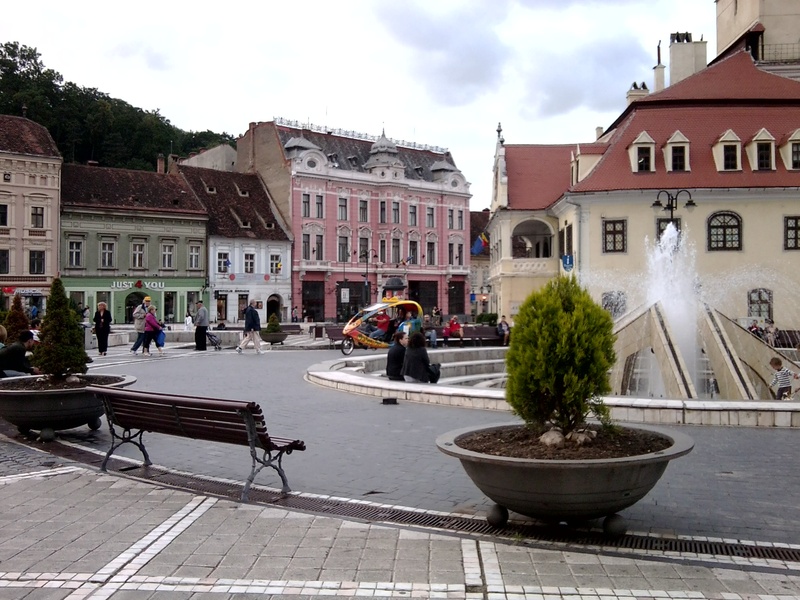 Though not a typical tourist spot, there is something special about this city, often described as the City of Parks by Romanians. People who live there claim that you will unknowingly fall in love with the city if you stay there for some time. Looking back, I can definitely confirm that from my own experience. Just walking through Piata Unirii (Union Square), often filled up with music playing on the stage and young people hanging out in one of its numerous terraces, and Piata Victoriei (Victory Square) with its charming Orthodox Cathedral, a huge number of pigeons and a splendid architecture, can leave you feeling incredibly calm and relaxed. 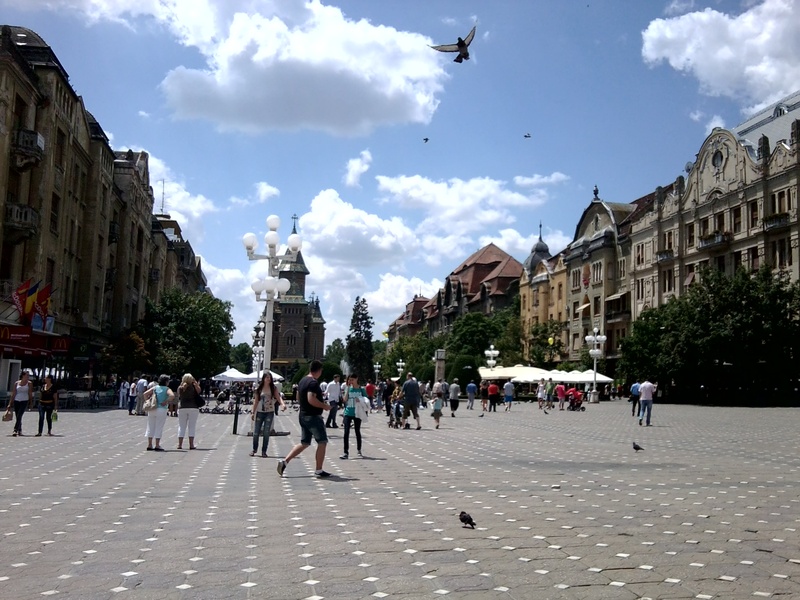 Often dubbed as Little Vienna for its cultural value, Timisoara is one of the biggest cities in Romania, located in the westernmost part of the country, very close to the border with Hungary and Serbia. It belongs to the historical region of Banat, which extends beyond Romanian borders and has a long history of being ruled over by Hungarians. 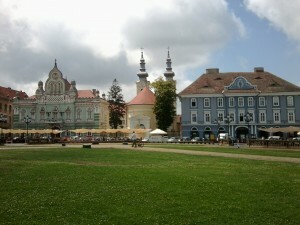 If you are interested in history, then you must visit the Banat Village Museum in Timisoara. It offers a number of evidences — including traditional peasant houses — of how people used to live in this region. 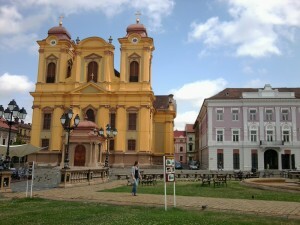 There are two interesting historical facts about the city of Timisoara that its residents can be proud of. It boasts of being the first city in Europe, and purportedly also the second city in the world after New York, which had electric public lighting. It was in November of 1884 when the streets of Timisoara became illuminated in this way. 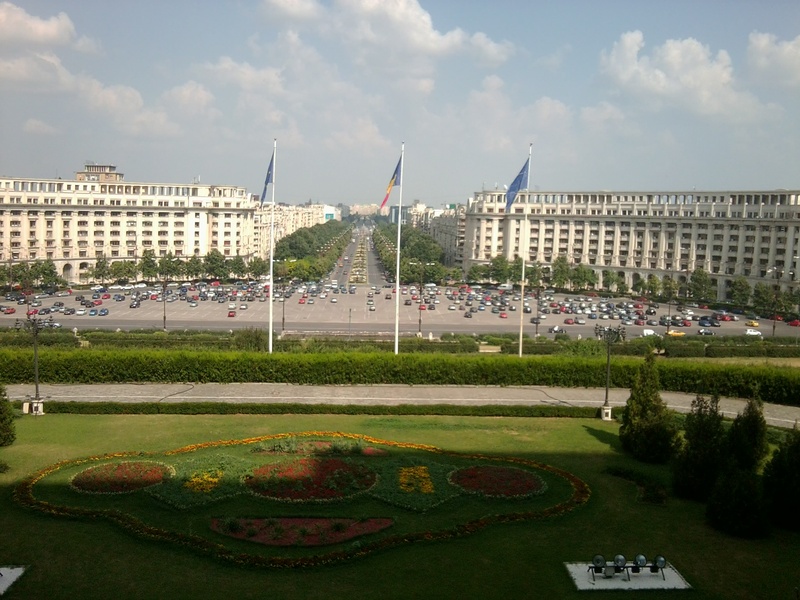 The other important fact worth mentioning is that it was here, more precisely in the above-mentioned Victory Square, where the revolution of 1989 started within Romania. Although the riots in Timisoara provoked a brutal reaction from the regime of Nicolae Ceausescu, they quickly spread to other cities of the country and reached their ultimate goal – the fall of the dictatorial leader and the end of Communist rule in Romania. You can still feel the pride over this success when you stroll around the streets of the city, more of which bear the year 1989 in their name. 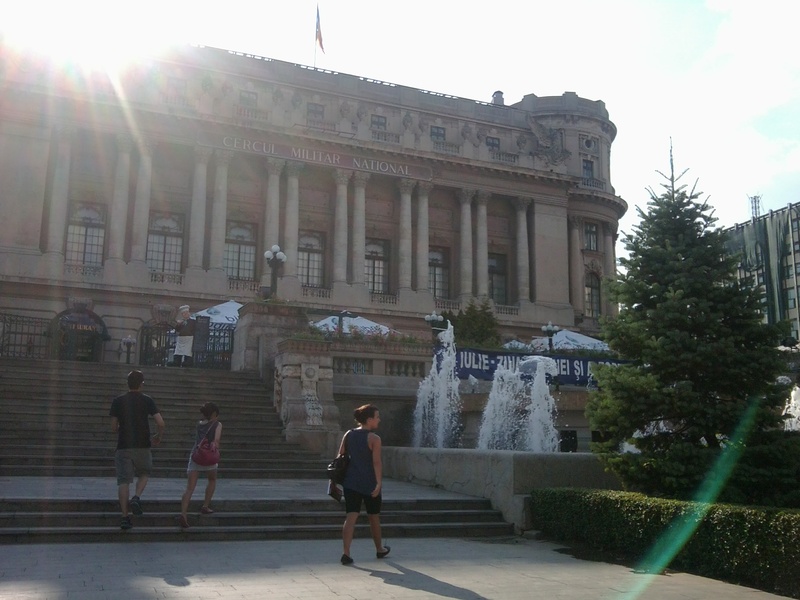 It would be impossible to speak about Romania without mentioning Bucharest, its capital city. If Timisoara is known as the Little Vienna, which might also stem from it being a part of Austro-Hungarian Empire in the past, then Bucharest is sometimes called the Little Paris, or the Paris of the East. Wondering why? 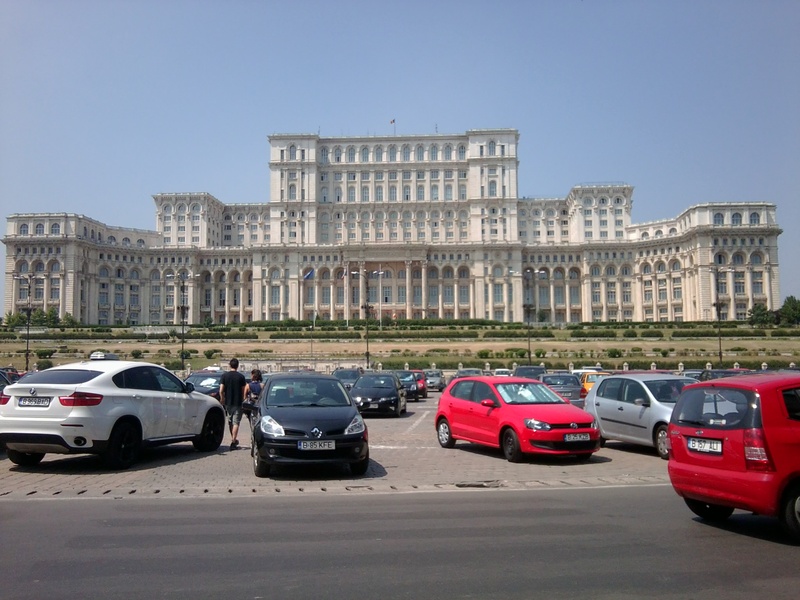 Because most of Bucharest was designed by French architects. 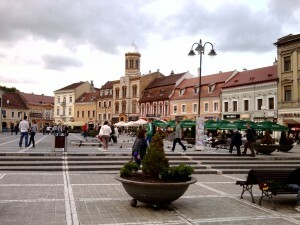 Therefore, you can find buildings and objects not that typical for the rest of Europe, not even for the rest of Romania. You can even find a Triumphal Arch similar to the French one (though much smaller). Also a typical feature of the city is the Roman heritage which is very visible in its architecture. 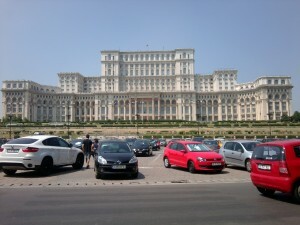 But the biggest tourist attraction constitutes the Palace of Parliament, often called the People’s Palace, which was built by the Ceausescu regime in the 1980s, during the time when Romania was one of the poorest countries in the Soviet Bloc and its population had to struggle to get by with food and other basic stuff. Yet nowadays, the city is proud to have the largest civilian administrative building in the world. Bucharest is located in the historical region of Wallachia, which was one of the first regions to become part of the present-day Romania. Though this part of the country was long under the formal influence of the Ottoman Empire, there are no eye-catching traces of the Turkish cultural impact, at least not at first, visitor sight. At the time Romania declared independence from the Ottoman Empire in the second half of the 19th Century, its territory was much smaller than it is today; it consisted only of two principalities — Wallachia and Moldavia. Throughout the 20th Century, Romania managed to gain not only the above-mentioned part of Banat region, but also much bigger region of Transylvania, which previously belonged to Hungary as well. (Romania still has a significant Hungarian minority.) The gain of this land after the end of World War I enlarged the territory of Romania considerably. Transylvania is often depicted as a mysterious land of vampires, simply because of the Bram Stoker’s legend of Dracula. He based his story on the infamous Vlad Tepes, the ruler of Romania, who is notorious for executing many of his enemies by impaling them. (Because of this he became known as “Vlad the Impaler”.) 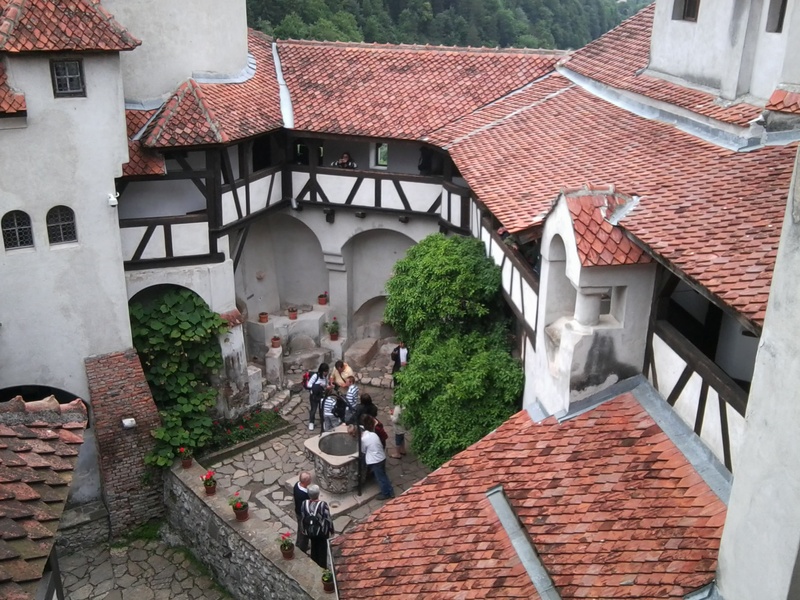 There is also a castle in the Transylvania region, near the beautiful medieval city of Brasov, which is famous as being the Dracula’s Castle. However, I think this place is rather overrated, and I didn’t really find it worth seeing. If you really want to visit a charming castle, you should visit Peles, which is also near Brasov. 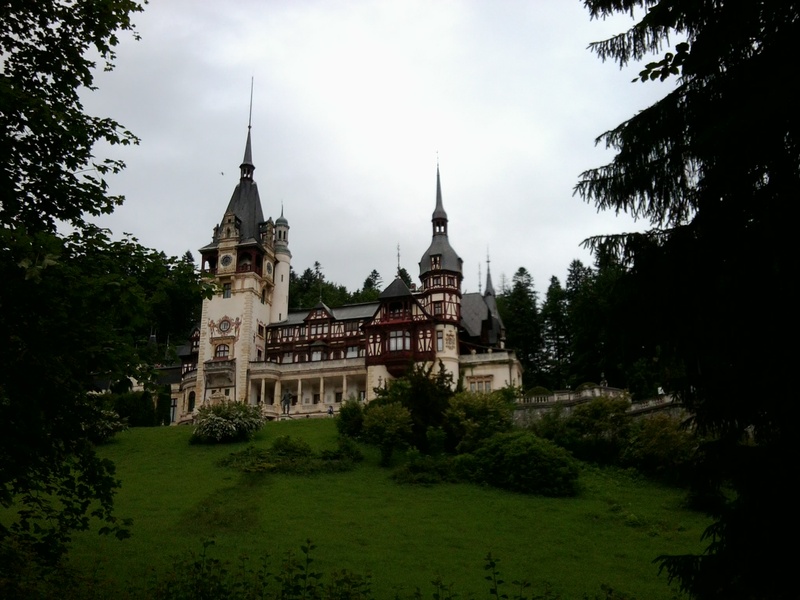 I can definitely say that this is one of the most beautiful castles you could ever see, built by the Romanian king Carol I in the second half of the 19th Century. There are many other beautiful places in Romania which would be worth writing about too. Though when visiting any country with a lot of history and beautiful architecture, traveling should not only be about seeing places. Many times it is about the people you meet along the way. They make your experience truly special. And in Romania, I can proudly say that I’ve met many amazing people I will never forget. Therefore I will always be happy to come back to this wonderful country. 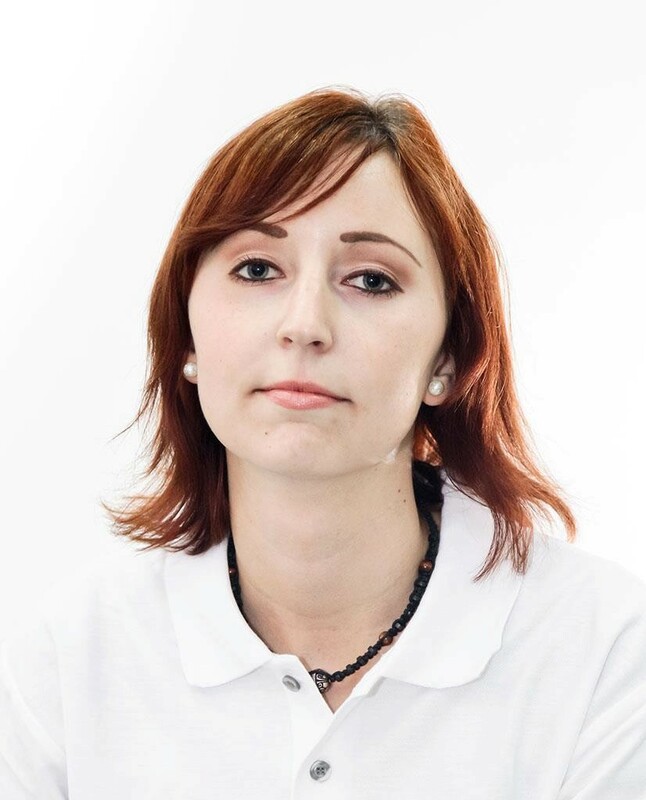 The author is a post-graduate student of international relations at Matej Bel University, Slovakia. She visited Romania as part of the Grow Project, was organised by the School of Values, a Romanian NGO, in cooperation with AIESEC.